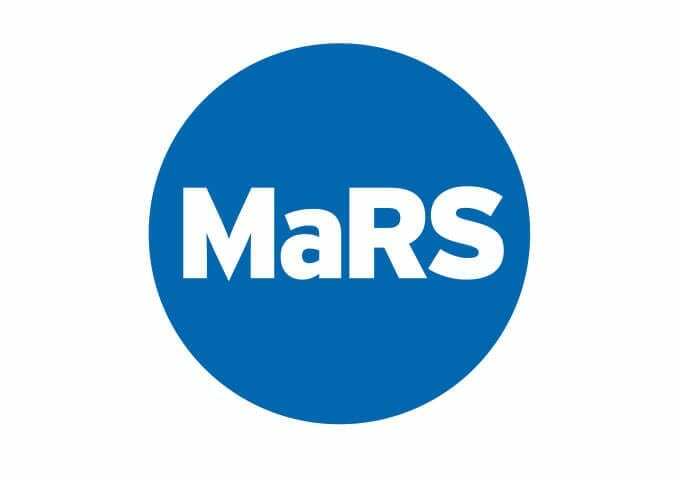 MaRS was founded in 2001 by a group of visionary business, academic and community leaders. They had one goal in view: to accelerate the development of knowledge-based businesses in Canada. Since its inception, MaRS has supported the commercialization of breakthrough discoveries and helped entrepreneurs start and grow a new generation of successful firms. Today, MaRS has a global reputation and is widely recognized as a catalyst for innovation and entrepreneurship. We operate as a non-profit, registered charity with strong performance targets. We are governed by a Board of Directors, the clear majority of whom are private sector leaders. Gordon Nixon, CEO of RBC, is the current Chair. Independent impact studies conducted by KPMG show that MaRS has delivered more than $3 billion in economic impact since its launch. Development of Phase 1 of the MaRS Centre started in 2003. Funding for the 700,000-sq.-ft. facility came from a combination of sources: business founders who provided private seed funding; and both provincial and federal governments. The majority of financing for MaRS Phase 1 came from private sources. Phase 1, which opened in the fall of 2005, is fully leased to 100+ innovation tenants. It generates revenue that MaRS uses to pay down its mortgage on the building. It also generates revenue that MaRS uses to fund its entrepreneurship programs and services. Our model succeeds because we co-locate different players in the innovation system – from researchers to startups to multinational companies, along with service providers and investors. We charge market rates for commercial tenants, which allows us to provide discounted rates to startups. In 2008, with Phase 1 fully leased, and facing local demand in a strong economy, MaRS embarked on its expansion on the directly adjacent site. Phase 2 would add 780,000 sq. ft. of much-needed specialized infrastructure for advanced research groups and high-tech tenants. An international competition was held to select a development partner. The winning bid came from an American development company active in North America’s leading science and innovation parks and technology hubs. They agreed to bear the cost of the project, and construction began. Phase 2 was just at ground level when the unprecedented financial crisis hit in late 2008. The developer halted construction. As time passed, MaRS faced hard choices. Key tenants had already committed to the project. In addition, the incomplete structure was at risk of deterioration with ongoing delays. MaRS negotiated with the developer and the Province of Ontario to restart the project in late 2011. Financing was provided through a repayable loan from Infrastructure Ontario – leveraging MaRS’ ownership of the land and investments made to date. This loan enabled MaRS to complete the building and lease 30% of the space. Phase 2 is a unique facility that requires significant upfront investment by specialized tenants. It will naturally take longer to lease a building of this kind and size. We have a range of strategic tenants in the pipeline. These include research groups as well as large and small companies active in key growth sectors such as life sciences, technology, advanced materials/manufacturing and cleantech. Despite demand, current agreements have made it difficult to move forward. Over the past year, we have been working with our partners to bridge short-term financial needs and bring additional capital into the project. No transaction has been finalized; therefore, there were no documents that should be in the public domain. As per standard business practice and confidentiality agreements, we are not in a position to disclose any details of an ongoing negotiation. MaRS Discovery District (Twitter: @MaRSDD) is a mission-driven innovation centre located in Toronto. MaRS works with partners to catalyze, accelerate and amplify innovation. MaRS supports entrepreneurs building Canada’s nextgeneration of growth companies.